Gee Josh, January 2016? got anything from Feb 2019, since she was supposedly out Monday? Robert Barnes has been a reporter and editor at The Washington Post for more than 30 years. For the past 12, he has covered the Supreme Court. This week he experienced something he says was a first in his career: a storm of commentators, many anonymous, swarming his social media accounts and email inbox to tell him that something he saw with his own eyes and reported in The Post did not actually happen: Justice Ruth Bader Ginsburg, alive and well, attending a performance about her life at a museum in Washington — her first public appearance since she underwent cancer surgery in December. A falsehood has been spreading in dark corners of the Internet that Ginsburg is dead — and in the hours after Barnes published his report, conspiracy theorists pelted him with their doubt-mongering. Photos were not allowed at the event, so one of the doubters emailed Barnes 21 questions about Ginsburg’s appearance — the size of her security detail, what gender they were, for example — telling Barnes that if he did not answer every single one of them, it would be a sign his article was not to be believed. Ginsburg did not attend the State of the Union on Tuesday night. 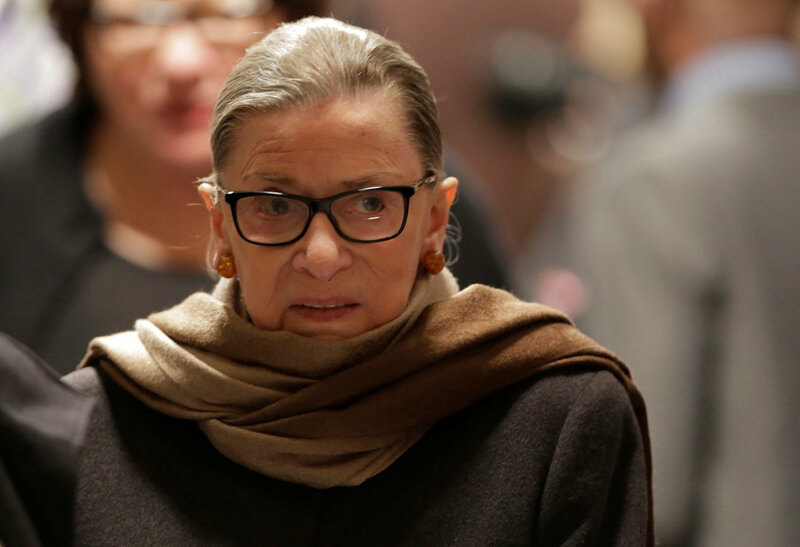 Neither did Justices Clarence Thomas, Samuel A. Alito Jr., Sonia Sotomayor or Stephen G. Breyer, but the conspiracy theory that Ginsburg is dead may draw more oxygen from the 85-year-old justice’s absence. Conspiracy theories about political figures are not new, but social media and other digital tools that allow for and, at times, encourage their wide dissemination have given them new prominence in the Trump era. Though it is impossible to know how large these groups are, the disruption they cause far exceeds their size, in part because of the visibility that social media algorithms lends to assertions that fire people up, regardless of the veracity of those claims. "Photos were not allowed at the event"
and the account now set to private. Edit: I don't think she's dead. I don't think her family would allow such a fraud to take place, at least I hope not. But I DO think extraordinary means are being used to keep her alive. I also don't believe that SHE is doing any work. I believe that her staff is voting for her and that is a clear Constitutional violation. The country should have PROOF that she is awake, lucid, and in complete control of her faculties. 2. "Photos were not allowed at the event"
Yeah, but they are damn sure allowed in the presumably public space between the event and the vehicle in which she rode to and from the event. through 2020 and no one will unplug her. her damned job, show us. We cant allow the communists to pull another stunt like this and drag it out.